Bringing to mind the romantic interiors of the "Orient," the "Raffles" bath collection, named after the famous hotel in Singapore, speaks natural chic. 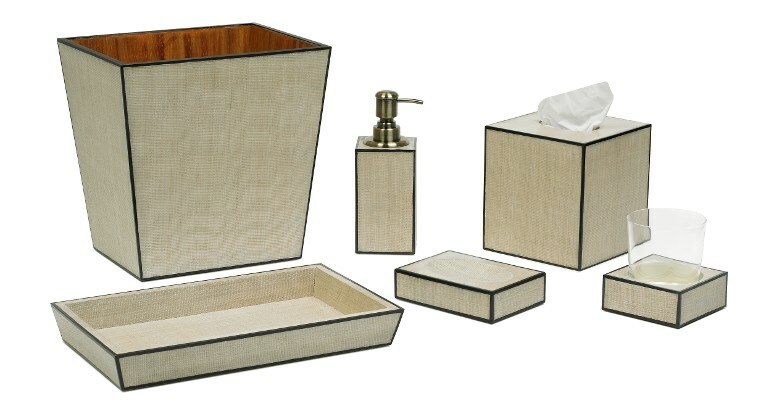 Covered with abaca, an indigenous product of the Philippines, the pieces are artfully trimmed with male penshell. 93-RFL85 - RAFFLES SOAP DISP.